The Great American Cleanup now runs year round. This is a great opportunity for your group or organization or even family to make a difference in you community. We have two ways for you to sign up this year. You can fill out the form below or you can call us at 706-318-5448 and we will be happy to register you. Thank you for participating and helping clean up your community. If you have time, please email us your photos from your cleanup and we will place them on our website. They can be emailed to ngrma.lesliegeorge@gmail.com or sent regular mail to NGRMA, 150 Hudson Ridge, Suite 1, Homer, GA 30547. We currently have Great American Activities in Union and Banks Counties. 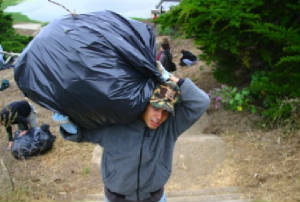 For information on our Great American Cleanup activities in your county go to www.kab.org. Come join in the fun and make a difference in your community. Please list requested Material. We can provide water, trash bags, banners, posters and we have a limited number of safety vests and pick up tools on a first come, first serve basis. 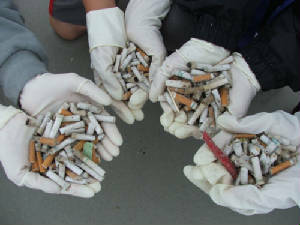 Cigarette Butts last for years on the ground.